Fear has returned to Wall Street this fall and at least some of the heightened nervousness can be pinned on Ebola. That's not to say the deadly virus is the number one thing keeping investors awake at night. There's concern about the global economy, deflation in Europe, China's slowing growth and Federal Reserve policy. But Ebola has contributed to the negative psychology that has sent stock prices reeling this month. Need proof? The chart below shows how the VIX volatility index has spiked since the summer. At the same time, the number of searches on Bloomberg terminals (a key resource for many investors) for news related to the Ebola outbreak has also skyrocketed. Of course, correlation doesn't imply causality, but it's worth noting. Ebola is "not by itself directly responsible for everything, but it's obviously making things work," said Dan Greenhaus, chief global strategist at BTIG. The VIX volatility index has clearly been on the rise since July 1. So have searches on Bloomberg terminals for news surrounding the Ebola crisis. Greenhaus, who published a similar chart in a note to clients Sunday night, said he's noticed a change in how his investor clients have reacted to the Ebola issue. "I saw the progression from curiosity and sideshow to something a little more paramount," he said. "In the context of everything else going on from European weakness to Fed tapering, if you layer on top of that whatever minor chance of a pandemic, you obviously have the recipe for additional volatility." Turbulence hits stocks: That volatility was on full display last week. The Dow plummeted as much as 460 points on October 15 amid a plethora of concerns, including Ebola, before rebounding sharply. Two days later the Dow surged 263 points -- its second best day of the entire year -- as Wall Street cheered strong corporate report cards. 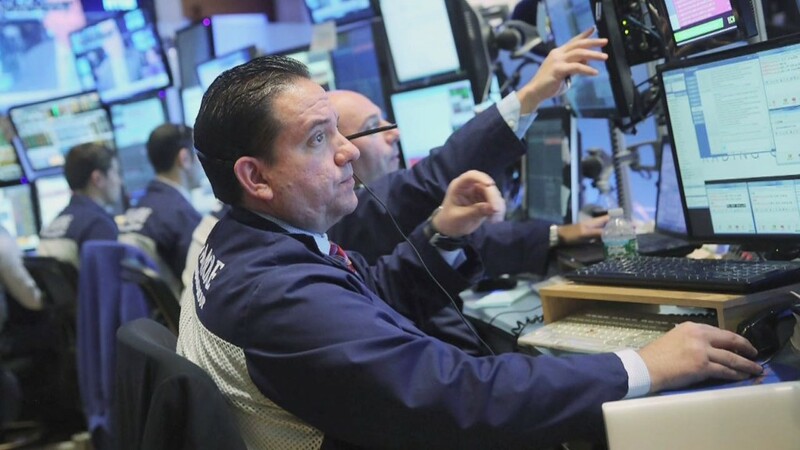 A sense of calm returned to Wall Street on Monday, with most major U.S. markets climbing cautiously higher. The VIX dropped 11%, putting it on track for a third consecutive down day. There was positive news on the Ebola front as 43 people who were in contact with Ebola patient Thomas Eric Duncan were officially cleared. Whew! What a week for stocks! Related: Is the nightmare on Wall Street over? The Ebola concerns are not universal among investors. Greenhaus said he's noticed that clients who believe there's a reason to be worried about Ebola are very concerned. But he said those that aren't concerned believe it's a "sideshow, a convenient excuse and stupid it would get brought up at all." 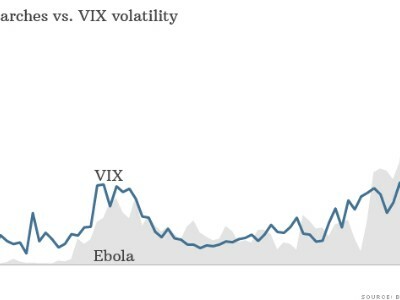 Volatile travel stocks: There's far less debate over what kind of impact Ebola is having on certain corners of the travel and pharmaceutical sectors of the stock market. Just look at the bumpy ride airline investors are experiencing. Shares of Delta Air Lines (DAL) and American Airlines (AAL) have retreated more than 15% from their 52-week highs amid fears a wider Ebola crisis will scare people away from flying. Cruise operators like Carnival (CCL) and Royal Caribbean (RCL) have also been hit, with their shares tumbling 12% a piece over the past month. On the other hand, investors are betting on which companies will be able to capitalize on Ebola. 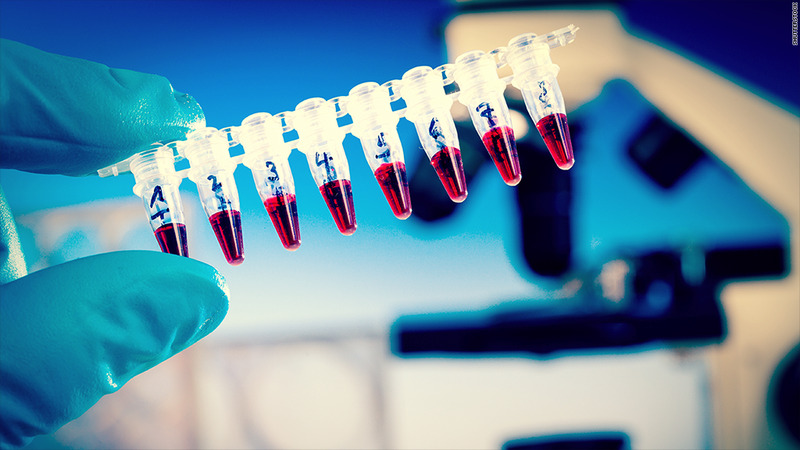 Shares of Tekmira Pharmaceuticals (TKMR) and other drug makers working on Ebola treatments have shot up in recent months. Lakeland Industries (LAKE), which makes Hazmat suits, has skyrocketed 100% since mid-September.